Ryan Bang's legal counsel Joji Alonzo, said that they are still waiting to receive the formal complaint from the Department of Justice (DOJ). “We have yet to receive summons from the DOJ on the alleged tax evasion charges. 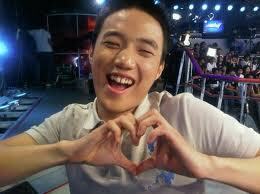 Ryan Bang intends to comply with all obligations due the government, if any. He will never knowingly and deliberately violate any law in this country.” - the lawyer said on an interview. We hope that Ryan could settle this matter as soon as possible, and may this be a lesson for all of us.